DESCRIPTION: Feature: 1) Widely applicable burnish tool. 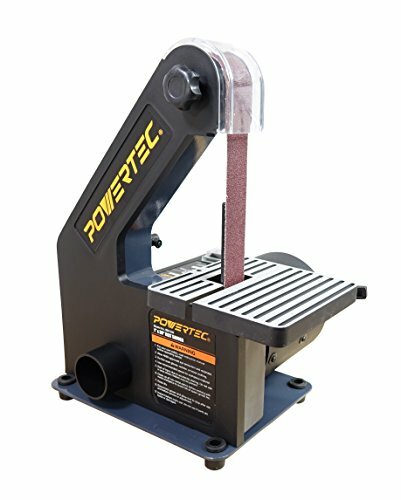 2) Polish efficiently with abrasive surface. 3) Convenient use, durable item. 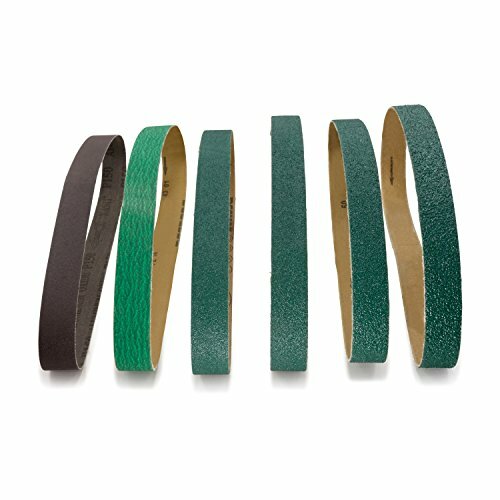 4) durable aluminum oxide sanding belts. 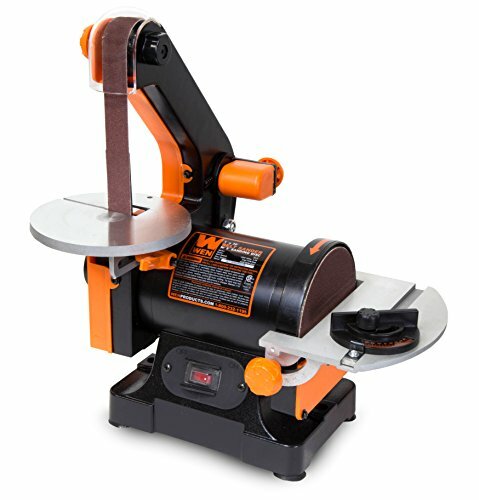 5) Suitable for use on wood, plastics, plasters and light for metal sanding jobs. 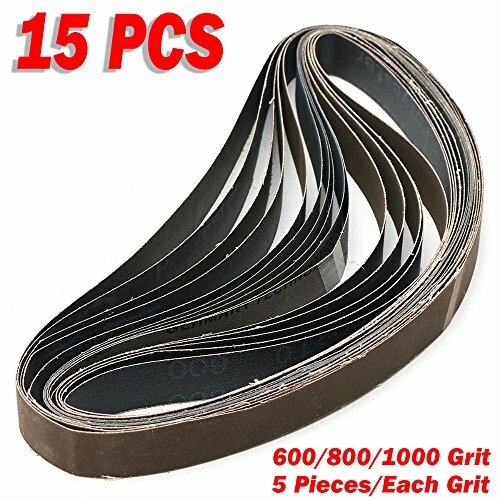 1 inch x 30 inch premium sanding belts designed for knife makers in mind. 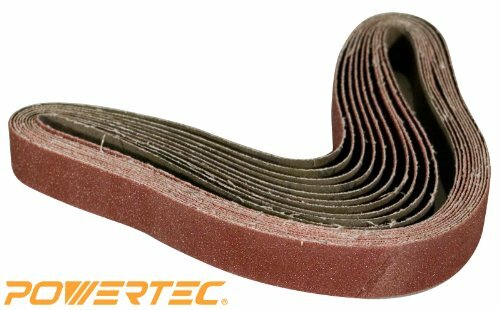 Includes one each of Zirconia p36, p40, p60, p80, p120 and aluminum oxide p150 Grit for a total of 6 belts. Zirconia is specifically designed for heavy grinding and hogging of hardened metals, such as steel. 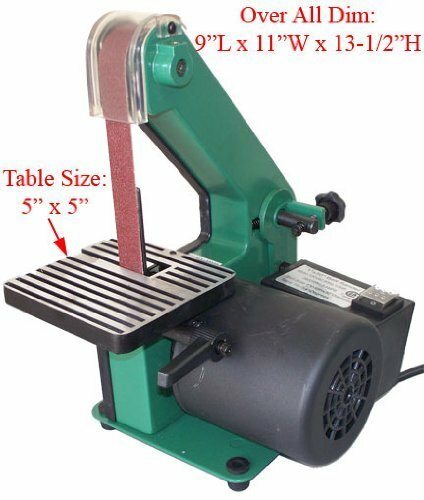 Our closed aluminum oxide (a/O) is a long lasting industrial abrasive that provides the best cut for knife shaping, knife sharpening, and general metalworking. Resists loading. Resin over resin bonding. Bi-directional tape joint. Water resistant for wet or dry applications. Assembled in America. 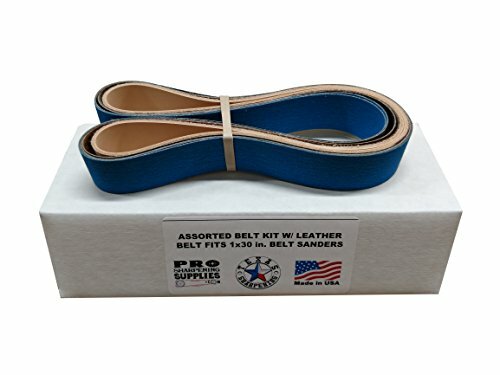 Compare prices on 1 Sander Belts at ShoppinGent.com – use promo codes and coupons for best offers and deals. Start smart buying with ShoppinGent.com right now and choose your golden price on every purchase.